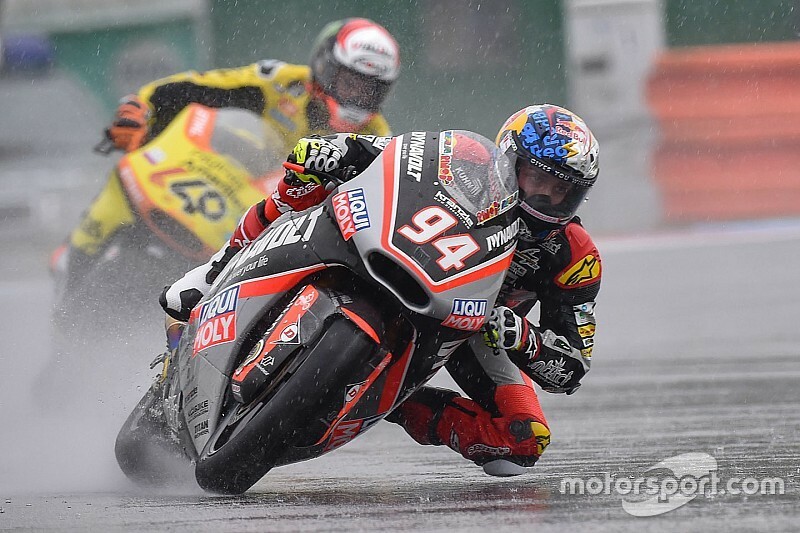 Jonas Folger took his season's first win in a wet Moto2 race at Brno, storming from seventh on the grid and beating Suzuki-bound Alex Rins. The German rider got a perfect start, going around the outside of polesitter Johann Zarco at Turn 1, to take the lead of the race. Afterwards at the front, Folger was never challenged for the lead once Zarco dropped ground, with closest rival Rins 5.175s behind. Rins himself had to work hard at the start to move past Takaaki Nakagami, but once in open air, the Spanish rider held on to second, ahead of front-row starter Sam Lowes. Behind the top three, Mattia Pasini made big inroads in the race, starting from 17th to finish fourth, equaling his best result in the 2016 season. 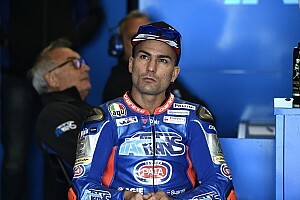 Pasini is under investigation after tangling with Sandro Cortese on the final lap while fighting for fourth, the German rider crashing out, having made up eight places in the race. 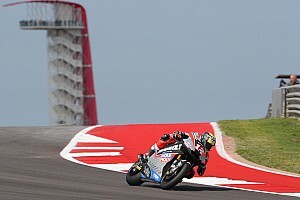 Alex Marquez finished fifth, after he was overtaken by Pasini at halfway point. 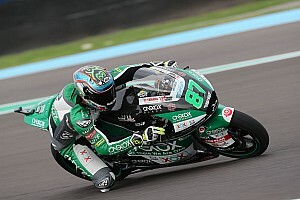 Hafizh Syahrin was sixth, making up nine places in the race, with Danny Kent winning the Leopard team duel to end up seventh. 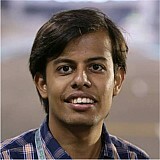 Teammate Miguel Oliveira finished ninth, with Franco Morbidelli passing the Portuguese rider in the final stages. Anthony West charged to 10th from the back of the field, ending up just ahead of championship leader Zarco, who fought back after having dropped down outside of points at one stage. Elsewhere, Nakagami crashed out from seventh after he was tagged by Simone Corsi, for which the Italian received a ride-through penalty, dropping him out of points in 19th. In the standings, Zarco now leads Rins by only 19 points, with Lowes a further 25 points adrift of the Spaniard. Alex Marquez: "I was trying too hard to match what Marc did"